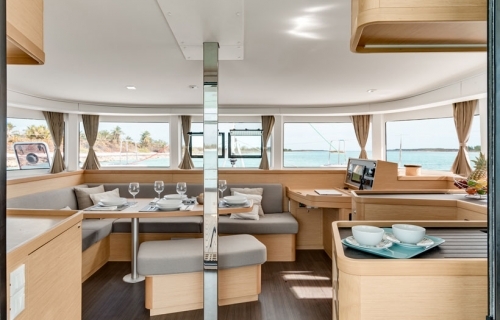 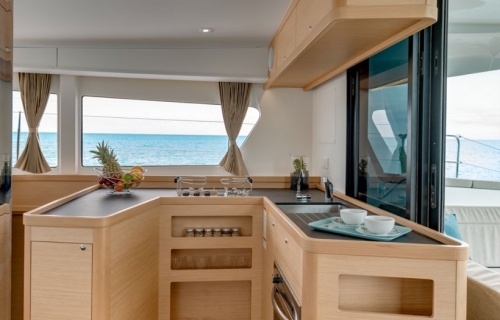 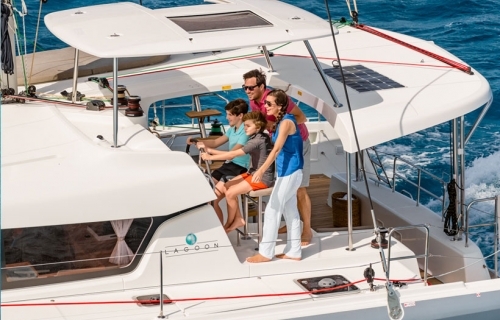 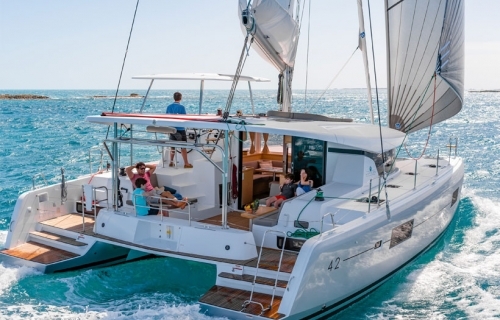 Sea Tiger is a Lagoon 42 with many customized features. 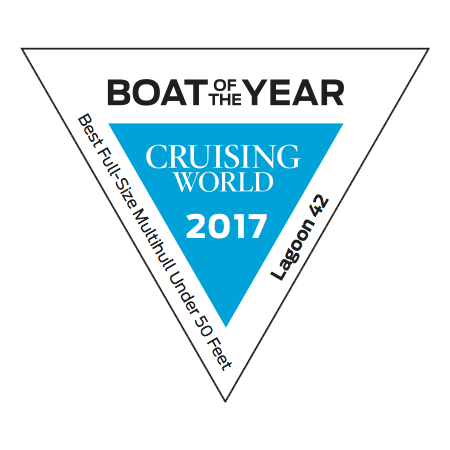 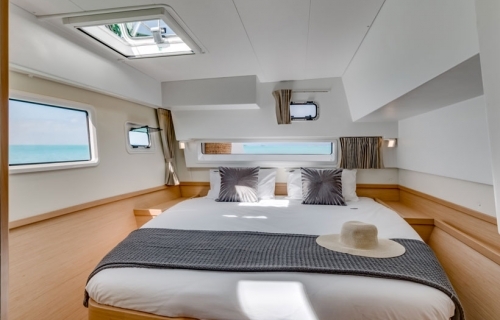 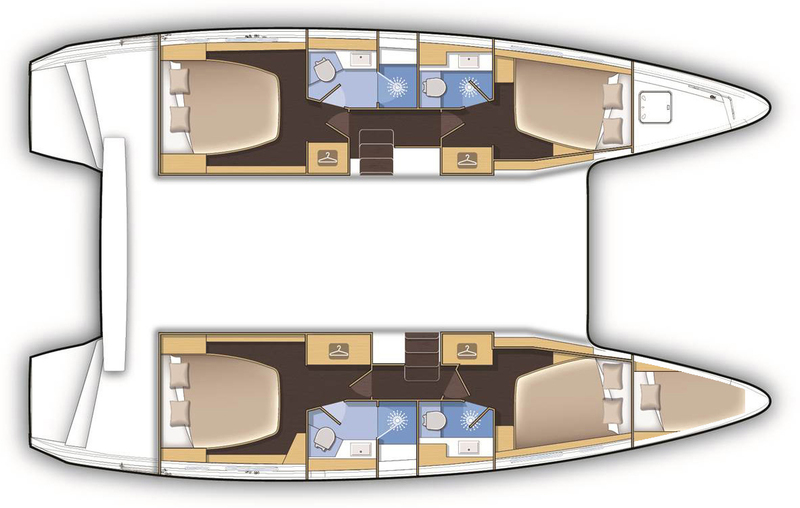 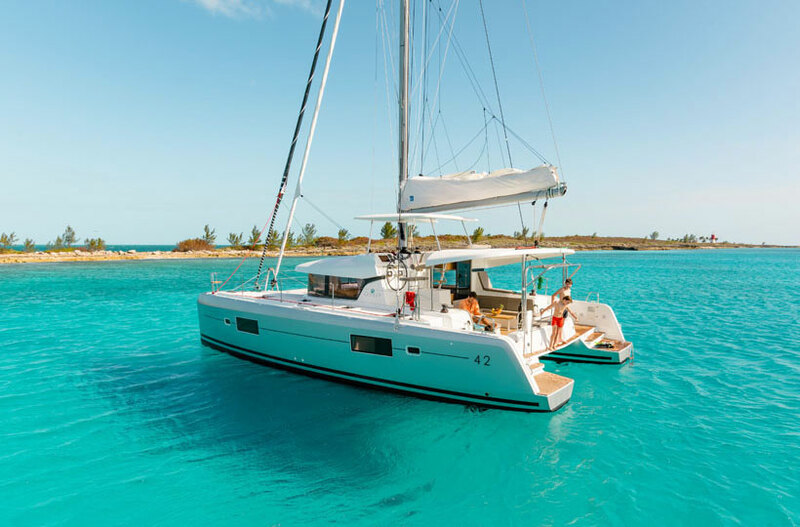 This Lagoon 42, named Boat of the Year by Cruising World Magazine, offers 4 cabins, and 4 heads as well as a pilot berth. 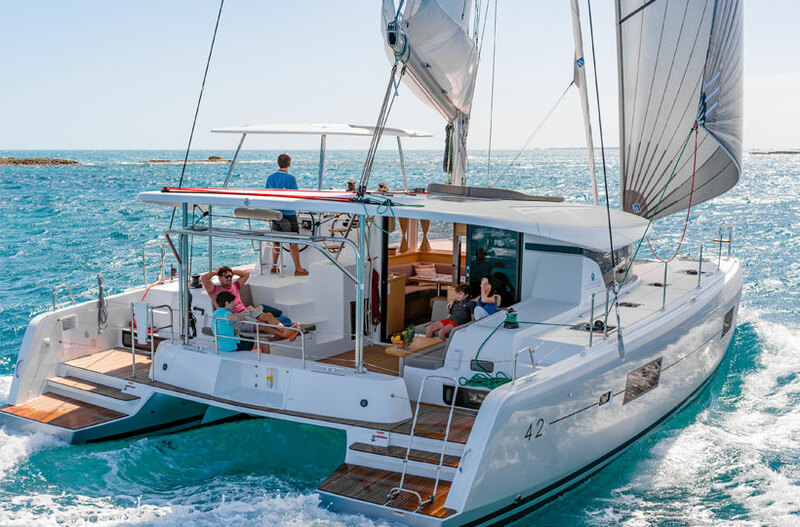 Easy to sail with electric winch and electric windlass, a B & G chart plotter with autopilot, and self-tacking jib, the crew can sit back and relax. Bean Bag chairs have been a big hit both under sail and at anchor. 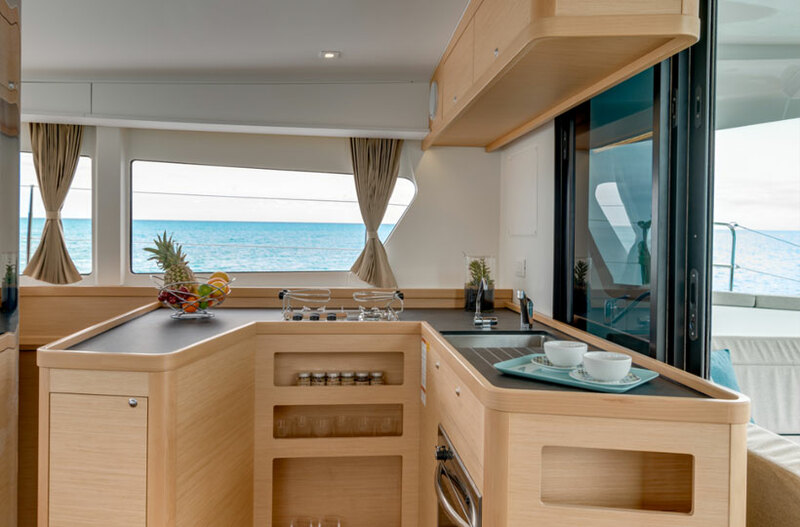 Small extras such as drip coffee pot and premium Ninja blender makes the days special from sunrise to sunset. Underwater lights attract tarpon nightly, entertaining old and young alike. 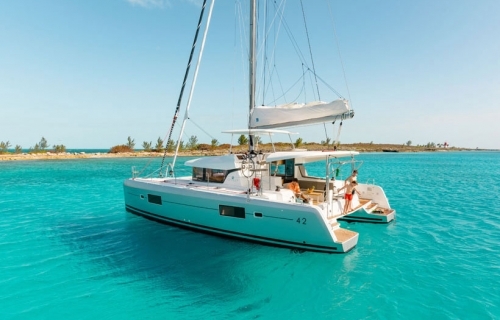 Upgraded Engel coolers(x2) assures plenty of ice is available. 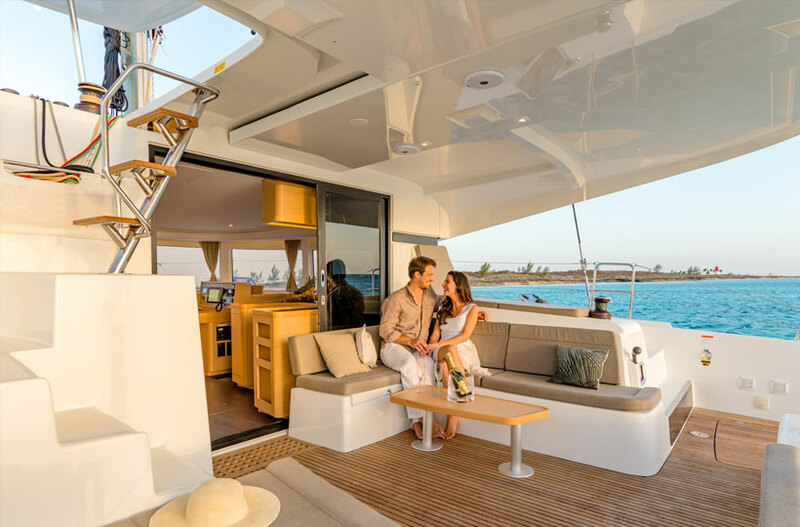 A smart TV is available for kids and their video games as well as playback of you Go-Pro videos from your current adventure. 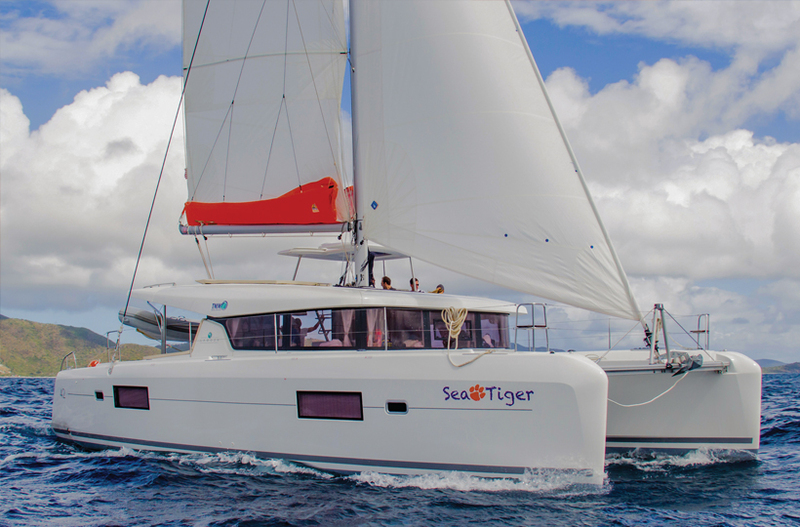 The Highfield dingy completes Sea Tiger, making your charter truly special. 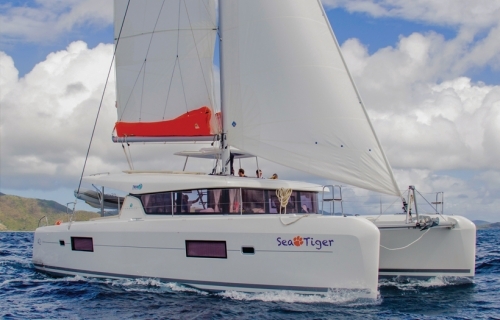 Book now and you will see why Sea Tiger has many repeat charterers. Inverter/Charger, Generator, Air Conditioning, Davits, Electric Main Halyard Winch, Cockpit fridge, 1 Galley Refrigerator (8 cubic feet total), Freezer (3.5 cubic feet), Microwave, Bluetooth Stereo Connection & Solar Panels.